Well it is essentially a sort of roux, made by cooking flour and a liquid (either water or milk) until it reaches 65C or 150F. Most cooking blogs and websites that discuss tangzhong point to this 2007 cookbook 65C Bread (65°C湯種麵包) which I think is written by a Taiwanese and popularized this method in Asia. But the thing is, if you have ever eaten bread from Chinese bakeries, you may have noticed that it’s a lot softer than your typical ‘western’ style bread. In Singapore, the few old-school bakeries that are around make a very soft white bread – I’m guessing that the crusts are cut off or something as it is a seriously WHITE bread. So who knows, maybe all this time they’ve been using a tangzhong method or other. Bread made with the tangzhong is softer, lighter. According to this blog by pastry chef Jennifer Field, the gel (the tangzhong) helps to hold on to water and also prevent some gluten formation, resulting in a softer bread. I first tried the tangzhong method early last year, but I think I had added too much of the tanghzhong, resulting in too soft a dough and it was a lot harder to manipulate. Also I was far too ambitious in starting with a hot dog bun recipe, where the dough had to be rolled around the sausages. You can read more about my attempt at Chinese bakery-style hot dog buns here. I’m not sure what attracted me back to the tangzhong method this year, there must have been a blog post that popped up somewhere, but I ended up on the blog Christine’s Recipes, which quite a few other food bloggers adapt from. This bacon and cheese tangzhong bread in particular caught my eye. But of course I didn’t have the right cheese (I wasn’t going to waste my good Brie on it!) but noticed at the end of the post she mentioned turning it into raisin bread. And in my house, there are always raisins. So that’s what I went for. Making the tangzhong is easy enough. I used flour and milk. Cook over medium heat, stirring constantly with a wooden spoon or spatula. You can use a thermometer to reach 65C/150F or do as Christine suggests and check for ‘lines’ that remain as you stir the thickened roux. In the end I did both, once I saw the lines, I checked the temperature. Just right. Transfer to a small bowl, place clingfilm directly on the tangzhong to stop it from drying up. Cool to room temperature. This tangzhong amount is good for two loaves of bread, and can be kept wrapped in the fridge for a few days. But if it starts to change colour, toss it. I used a bread machine on its regular dough setting – it’s a lot more convenient, and also the recipe warns that it can be quite messy (which I guess means sticky?). If you don’t have a bread machine or mixer, please refer back to Christine’s Recipes for more details. Because I was using a bread machine with a separate yeast container on its lid, I added in all the dry and then wet ingredients, and the yeast in the container, then let it run. The machine goes through a couple of rise cycles as well as the kneading. Using a rolling pin, roll each ball out into a rough oval shape. Scatter the raisins evenly on the oval. Starting from one end, roll the dough into a kind of Swiss roll. Then use the rolling pin to roll it out into a rough oval shape again. And then starting from one end, roll the dough up into a kind of Swiss roll. Place each roll side by side into the loaf tin. Mine is a silicon loaf tin but you should grease yours if it isn’t. Let the dough proof again for about 40 minutes. If you would like it to have that shiny surface, brush some egg wash or milk over the the surface. I only did this for my first loaf and forgot about it for the others. No problem there. Bake in a pre-heated 180C/350F oven for 35 to 40 minutes. If you’ve never baked bread before, sometimes it’s easier to check the doneness of bread with a thermometer. Breads are done at about 190F/87C. Try to angle your thermometer towards the centre of the loaf – you can do it near one of the folds or from the bottom. I also attempted to make a chocolate bread – adding about 1.5 tablespoons of cocoa powder to the flour mixture. Instead of using raisins, I used chocolate rice, sprinkling it before rolling. My 5yo adored the chocolate bread and ate it for breakfast every day. The 3yo didn’t like it as it probably didn’t have enough chocolate for him. I would try this again with more sugar and more chocolate rice or substitute it with chocolate chips. I had bread machines on my mind for months. A friend had gotten one for Mothers Day last year and adored having fresh bread regularly and easily. I hemmed and I hawed. I had been making bread, using the dough hook on my Kitchenaid to do the heavy kneading. All that rising and waiting and rising and more waiting though, that was the tricky part, especially with two littles around. Excuses I know! 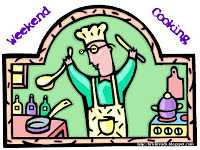 But while bread making isn’t all that difficult, many of the better recipes do require time in the kitchen. And by time I mean an hour rising here, a bit of kneading after, then another hour of rising or twenty minutes of resting. That kind of thing. Where it is somewhat necessary to be around the house for most of the morning or afternoon. I adore The Bread Bible by Rose Levy Beranbaum which I’ve used for a variety of breads like a plain hearth bread to olive bread, beer bread and more. And many of her recipes require this mix of resting and rising and shaping and rising over several hours. All this is what creates that wonderful delectable bread. I used the popular no-knead bread recipe from Jim Lahey of the Sullivan Street Bakery before that (and if you’re brand-new to bread making I’d still highly recommend it!) 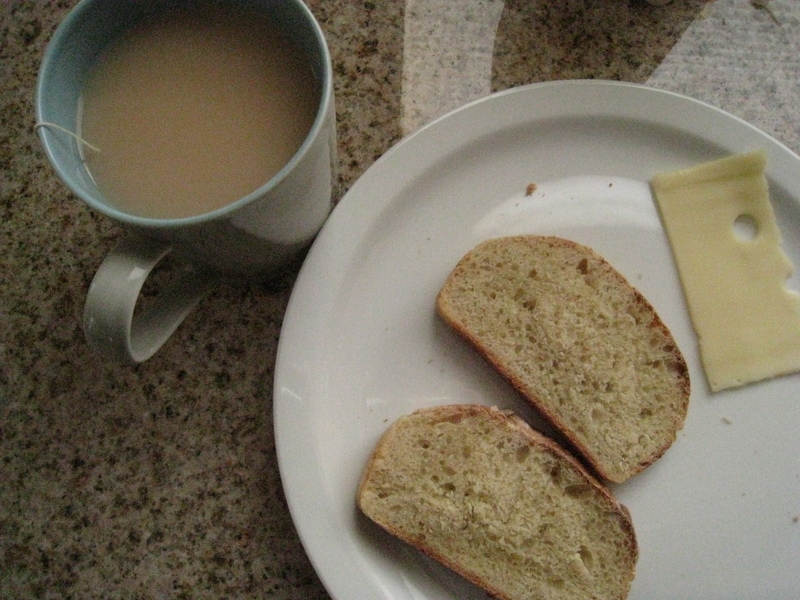 but wanted to try different breads, different textures and tastes, of the kneaded variety. So the bread machine? Let’s just say a year-end special won me over. The price fell below $100 and with a click of a button, I was the owner of a bread machine – the Panasonic SD-YD250! It sure took up quite a bit of space on my kitchen counter. But to be able to throw in some ingredients and let a machine work its magic was just simply awesome. Sure the breads were always of the same shape and required slicing by my unsteady hand but hey, fresh bread every day! I was so used to letting the machine do all the work – mixing, kneading, rising, baking. The only thing I could never do right with the machine was work its “French bread” cycle. The bread always gets stuck in the pan after that cycle! It requires a lot of digging with my silicone spatula before the bread jiggles out. But something was missing! 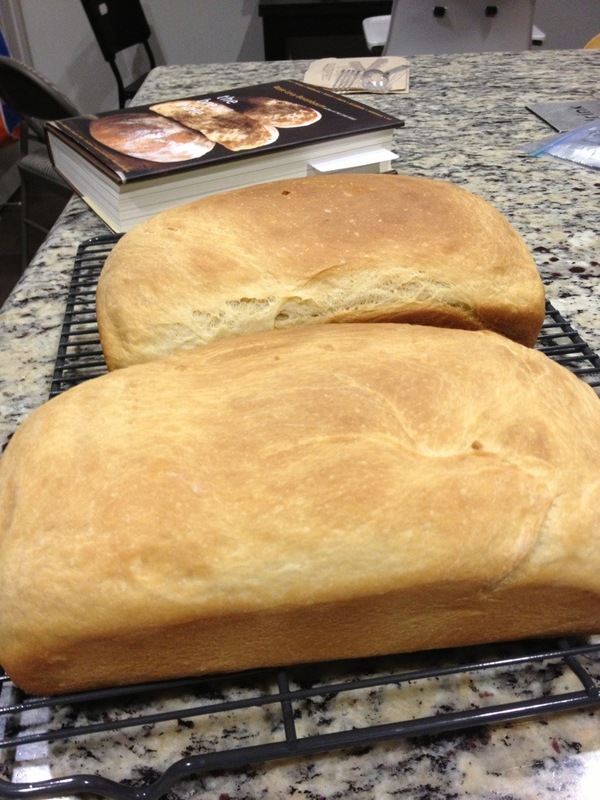 I missed those oddly shaped breads I used to churn out – odd because my shaping of bread needs a lot of work! So I’ve returned to making my odd loaves. I use the dough cycle to mix and knead and do some resting and rising. But now am giving shaping and rising another go on my own. To some success! Wee reader had his annual (weird to call something annual when he’s not yet two) allergy skin test on Friday. This time we checked for eggs, wheat, tree nuts and peanuts. His first skin test, on his first birthday last year (good scheduling on my part there), was for a variety of things including wheat. A blood test when he was about 9 months had shown the high likelihood of a peanut and egg allergy already and they didn’t want to do a skin test in case of a bad reaction. And so happily watching a Thomas the train DVD (the clinic is well stocked) and clutching his Duplo car, he got his back scratched up well and good with all the different samples. Then a 15 minute wait began. The welts appeared pretty quick and it was painful to watch. Not because it hurt – although it did itch a little – but because I had been hoping for some sort of good news. 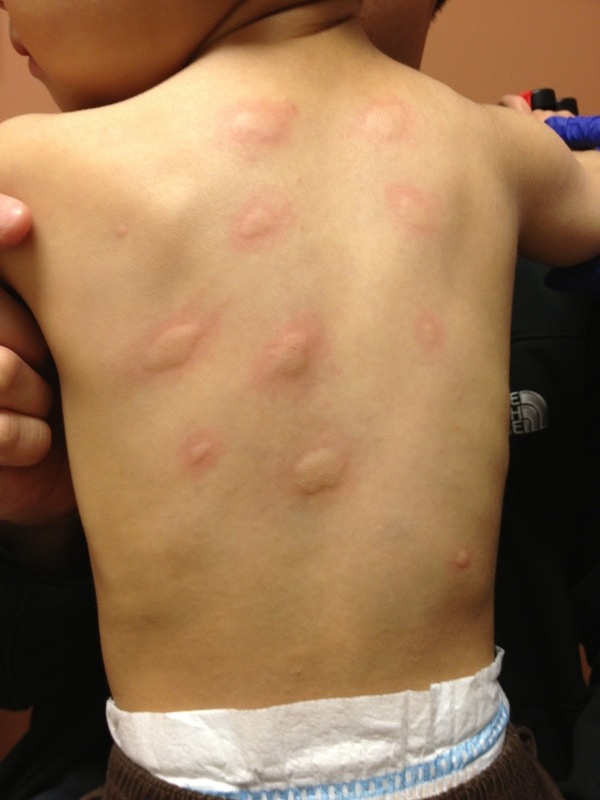 I know that many children outgrow egg allergies and wheat allergies so I was hoping for either one to be a non-reaction. Nope. Not this year. The good news though is that his wheat allergy reaction is the same as last year’s and his allergist gave us the go-ahead to gradually try some wheat products, like bread. Of course keeping a constant eye on the ingredients as many wheat products, like breads, are made in places where there are nuts. I was happy for any sort of good news! And we discussed the possibility of bringing him in for a baked egg product food challenge (many egg allergy sufferers can consume baked egg products) when he’s older and hopefully having outgrown his wheat allergy. So who knows, there might be some hope for the future. The nut allergy though is hard to outgrow, from what I understand, so it is something we will have to continue to be careful about! Don’t worry, it’s not all allergies news this blog post. I’ve been making more forays into the Bread Bible. 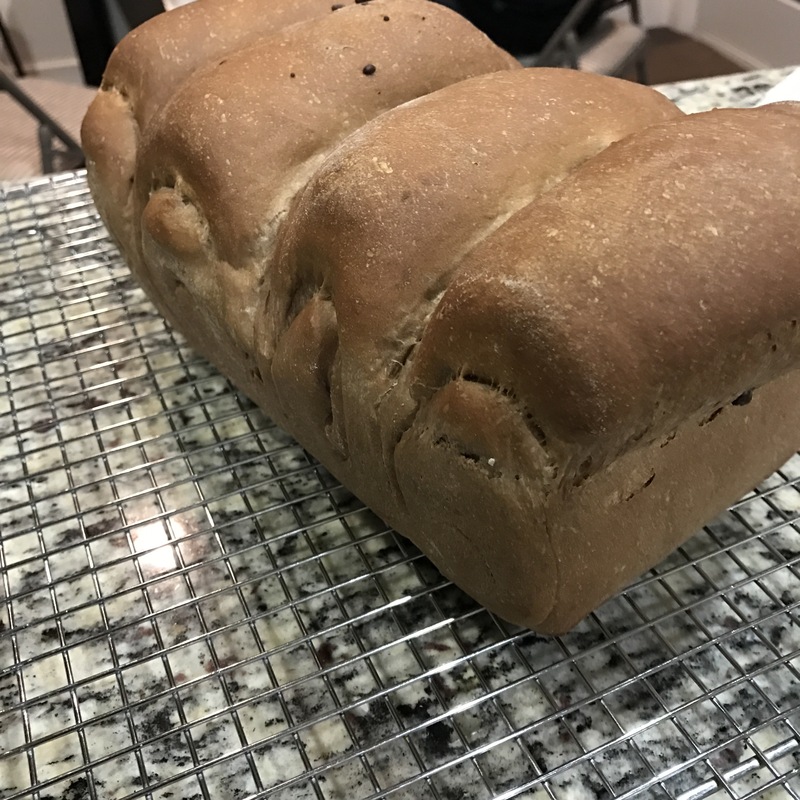 I first tried the basic soft sandwich bread and then a couple of weeks ago baked the raisin bread, which is quite similar to the sandwich bread recipe. This time, I gave the beer bread recipe a try. It was the first bread I’ve made with wholemeal flour (although it uses just a small amount compared to the bread flour in the recipe) and I must say that it gave a nice texture to the beer bread. I’ve tried two other beer bread recipes previously and those turned out to be more cake-y than I liked. So this was a nice change as it was a firm sliceable bread and had a good flavour too (didn’t taste of beer in case you’re wondering!). As I’m making my way through the Bread Bible, I’m appreciating all the comments and tips that Rose Levy Beranbaum has added. I’ve gotten far better at shaping a loaf (thanks to her step-by-step instructions and illustrations) but, as you can see, I have to work on my slashing! Perhaps my knife isn’t sharp enough. Maybe a razor blade…. I also made some muffins in an attempt to use up some frozen peach and mango slices! 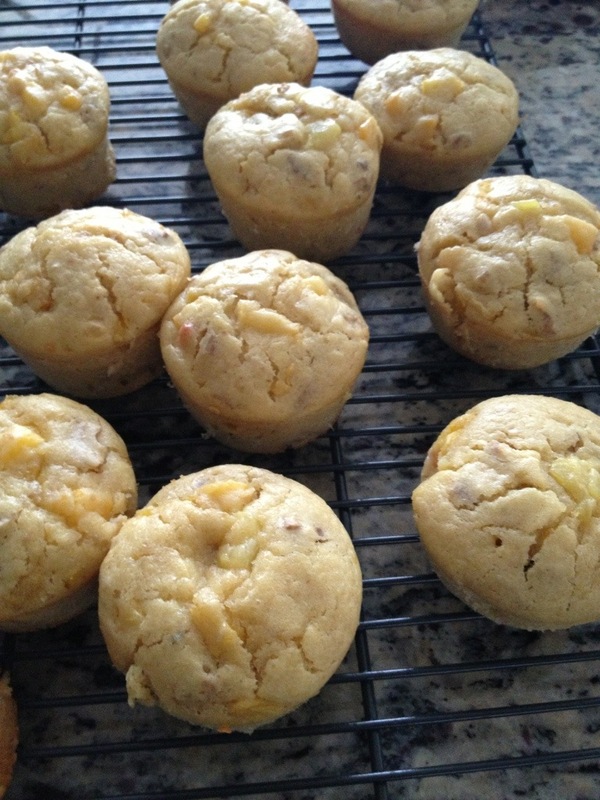 The King Arthur Flour basic muffins recipe was quick and easy and didn’t require a mixer. And it’s pretty adaptable too – next time I might try this with bananas and/or chocolate chips. Do you have a favourite muffin recipe? So this cookbook has been sitting on my kitchen cookbook shelf for 1.5 years now. Because I have been intimidated by it. This looks like a bread book for serious bread bakers. It isn’t full of glossy photos, or step-by-step photos, instead the pages are mostly words, with clusters of lovely photos of bread interspersed in between. Now thinking back, I’m not quite sure what motivated me to finally pick up this hefty book on Friday morning. The desire to bake some bread? The lack of bread in the house (except for two lonely slices of storebought raisin bread)? The itch to do something with my hands? I knew I wanted a savoury bread, and this Basic Soft White Sandwich Bread (recipe here) caught my eye. Rose Levy Beranbaum describes this bread as “like a brioche, with less butter and no egg”, “lightly toasted and topped with soft scrambled eggs, it is nothing short of ambrosial”. Ooh…doesn’t that make you want a slice? Ok so mine wasn’t all that perfect. It had a nice lightness and was much softer than any of the other breads I’ve made before. But it wouldn’t really qualify as ‘sandwich’ bread as it wasn’t tall enough. Because I didn’t let it rise long enough! The problem began with my less than careful reading through the recipe and skipping over one of the rises. I neglected to factor in two extra hours of rising. Reading over the recipe again after the first couple of steps, I realized that if I followed the recipe to the letter, I’d still be baking at midnight. Oops indeed. So I had to shorten the rising times and make minor adjustments here and there. Note to self: read each step thoroughly next time before proceeding with any recipe! Plus, my kitchen was a little cold. According to Beranbaum, the ideal temp for rising is 75-80F, and my house tends to hover around 67F (about 20C). So after the first rise (one of many!) seemed to take a while on the counter, I warmed up the oven a little and popped it in. It helped, a little, but just a little too late! Anyway, this recipe was quite different from the breads I’ve made. It uses a sponge method, essentially making a sponge dough starter (which has all the liquid), and then sprinkling a flour mixture on top of the sponge starter as a protective cover to prevent drying out. Apparently this method helps to deepen the flavour of the bread (to really develop full flavor, it requires an overnight fermentation). One thing I definitely appreciated in this cookbook was its detailed description on shaping the dough (even though this recipe uses loaf pans). She tells you to press the dough into a wide rectangle, to dimple it, to fold it overlapping and roll it and tuck it under (see the recipe for more information). My previous attempts at dough shaping were far more haphazard! More of a pat pat and into the pan it goes. I’d love to try out one of her free-form loaves to see how the shaping of those works. 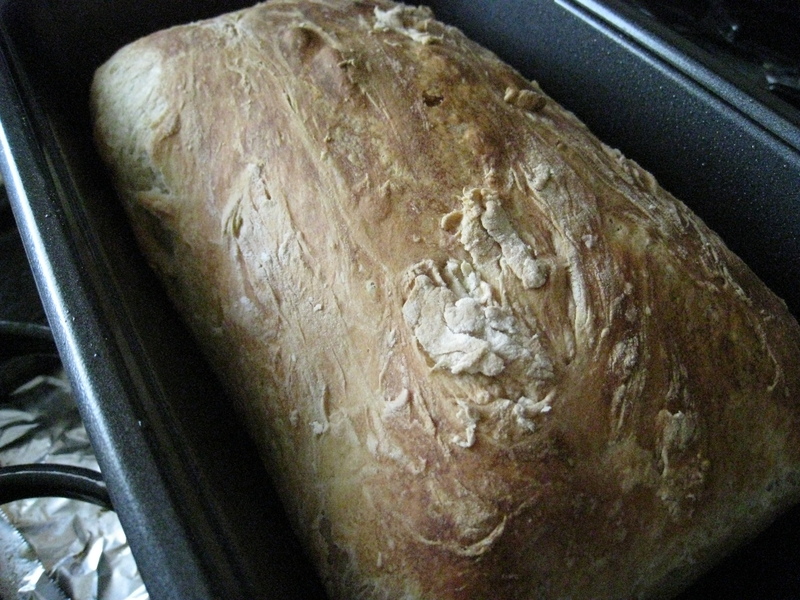 At any rate, despite my less than thorough recipe-reading, the bread that emerged from my oven smelled fantastic. The whole house smelled wonderful and of course I had to sneak a bite (after letting it cool). Yummy. I will have to try this recipe again, giving it an overnight ferment and making sure it rises at the right temperature! The Bread Bible has many other recipes that sound so tempting, like the olive bread, brioches, and scones which immediately caught my eye. I love scones! 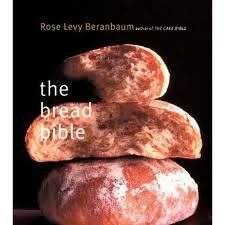 Beranbaum has written several other ‘bible’ cookbooks, and has some recipes over at her website. William Alexander is a man who goes all out. He is intent on perfecting perfect bread. And just one type of bread. Peasant bread or pain de campagne. And that’s one loaf of bread baked each week for a year. 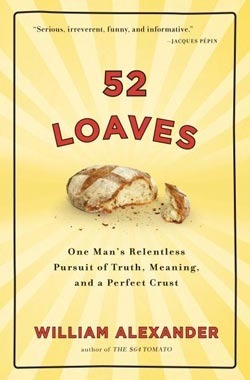 Equals… Yes you got that right, 52 Loaves. Well technically more than that as there are plenty of loaves baked during a baking course he takes in Paris and plenty more in a monastery. More on the monastery later. As with most decent non-fiction reads, Alexander goes in search of the experts. The commercial yeast maker, the bread baker, millers and owners of professional ovens. All while making his own bread. And growing his own wheat. Yeah this is man who doesn’t like shortcuts. He even grinds his own home-grown wheat, with what is probably an old Indian grindstone! Can you beat that??? He disdains the popular no-knead bread which I think isn’t quite the right reaction. Sure it’s a bit tasteless (add more salt) but it got people baking bread. Like me! Before attempting the no-knead bread, I had given bread-making a try but it’s just way too hot in Singapore to knead and I just didn’t want to do more. But after successfully making the no-knead bread – and then getting a Kitchenaid mixer with that very useful dough hook – made me want to give other breads, kneaded or not, a try. So the no-knead bread isn’t to be pooh-poohed at. It is a great way to get started with doughs and yeasts and all that. Just, you know, add more salt than the recipe calls for. Anyway, this book ought to come with a warning sticker: Will make you hungry for bread. Because I was. And you might have noticed that it led me to bake up a couple of loaves (and some cookies). 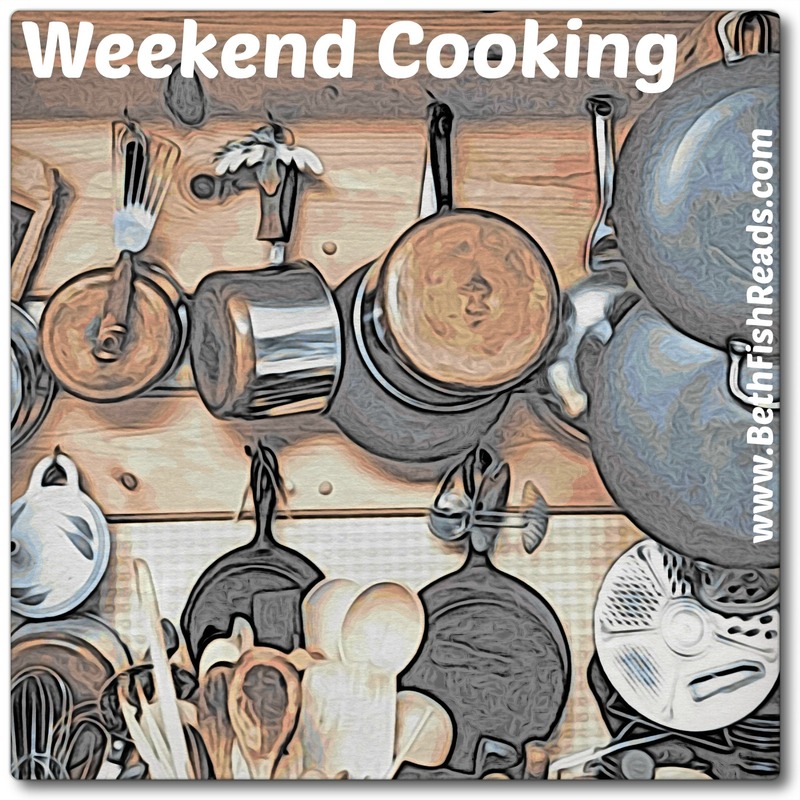 And my kitchen – and most of the house – smelled oh so good…..! Just thinking of those wonderful smells and that delicious crusty bread (sadly, long gone) makes me want to eat bake some bread. 52 Loaves was at times amusing (in that self-deprecating way) and I have to put it to Alexander to giving breadmaking such utter devotion. But the problem with a book that details 52 weeks is that not every week makes for good reading – at one point he decided to sleep in a separate room from his wife (I’m sure plenty of couples sleep in separate beds, I just didn’t need to know the details). As a result the book is a little uneven. The time he spends in France though are the highlight. He somehow weasels his way as a guest at a monastery in Normandy (told you I’d get back to the monastery bit) where he finds himself having to train an apprentice baker (when he’s still more or less an apprentice himself), and meticulously planning a baking schedule around their services! Alright, I’m off to figure out what bread to bake tomorrow. I’d read about the No-Knead Bread fad a while back but wasn’t quite sure how that would work without a dutch oven. 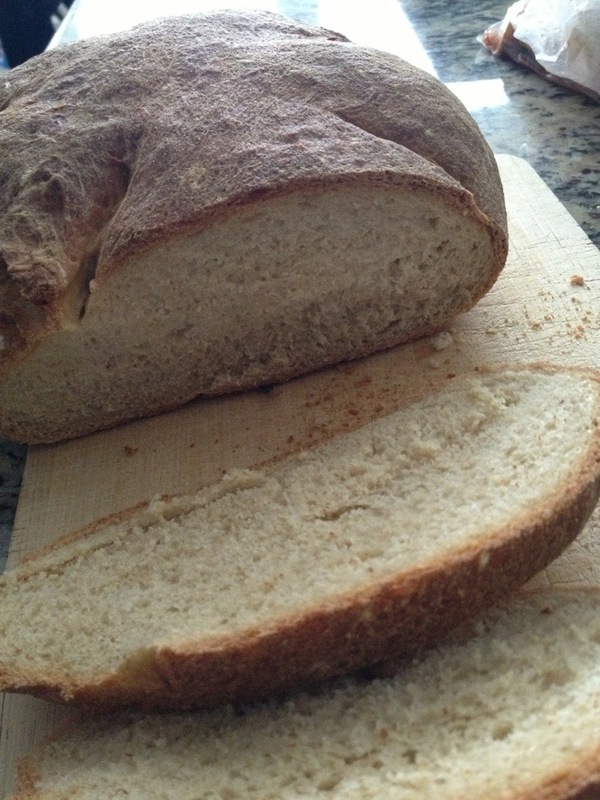 And yesterday I came across The Kitchn’s Sandwich Loaf Hack of the No-Knead Bread. And I thought, I’ve been wanting to bake bread for the past six months now (that’s how long the packets of yeast – unopened that is – have been sitting around in the kitchen cabinets), I really oughta just bake some bread already. So I did. The dough requires 12-18 hours to rise, and then another 2 hours after a wee bit of moving it around (not really kneading but more like folding it in on itself) but you know what, it’s winter, the apartment’s not exactly a warm place (I wear sweaters instead of heating the apartment the whole day just for one person), and it didn’t quite rise the way it was supposed to. So I had to turn on the oven for a while, and then turn it off and let the dough rise a little more in the cooling oven. Still, it turned out pretty nicely! I’m leaving this book on my kitchen counter so that I can flip through it when I’m having breakfast and bore the husband with facts he never really wanted to know about food.